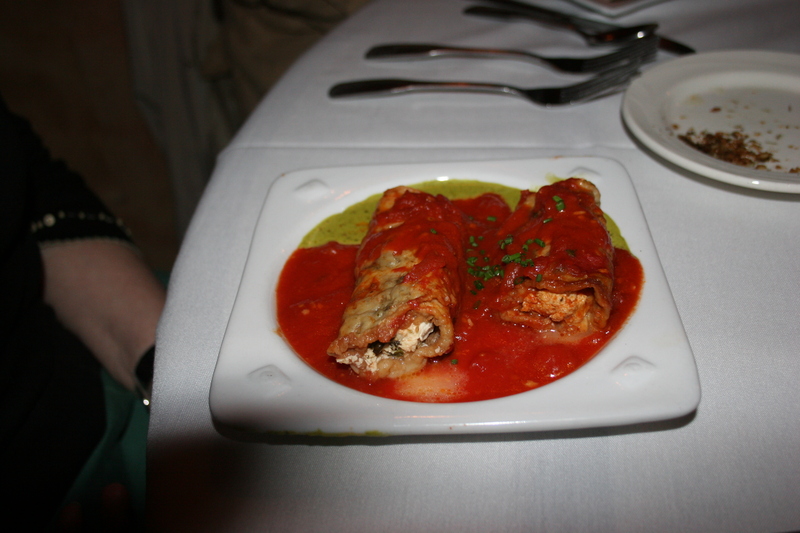 Catelli’s in Voorhees, NJ got a jump on South Jersey Restaurant Week by starting a week early. Six of us took advantage of their premature participation and cancelled our Saturday evening reservation in South Philly to take part in the four-course Prix Fixe. I enjoy Catelli’s but it’s not a BYOB so each visit there carries mixed emotions. I miss bringing my wine. Kathy and I each had a couple of glasses of Ravenswood Zinfandel at $8.00 a glass. The price is OK but the pours are a bit stingy. I would be willing to bet none of them were the normal 5oz. pours. 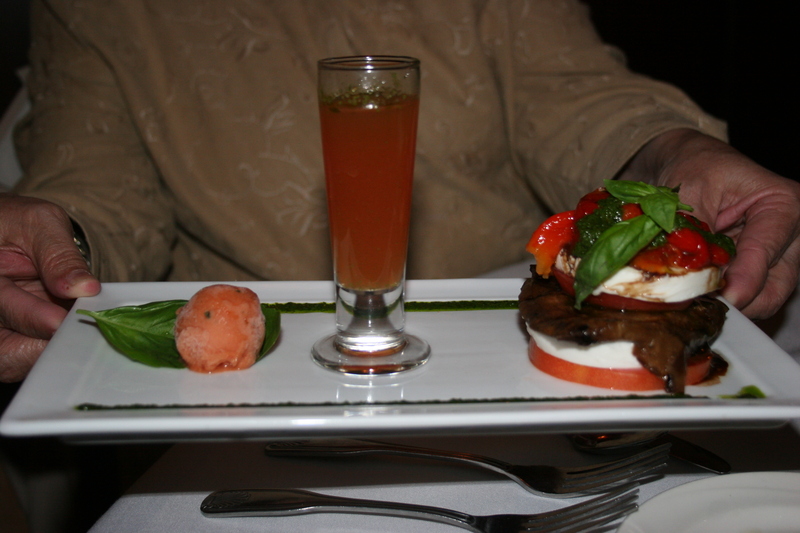 Among the appetizers that we selected were the Eggpant Rollatini, filled with riccota, mozzarella and basil in a marinara and basil cream sauce and the intriguing Tomato Sampler consisting of a tomato water shooter, Jersey tomatoes with mozzarella and roasted tomato sorbet. Both of theses starters passed with flying colors. 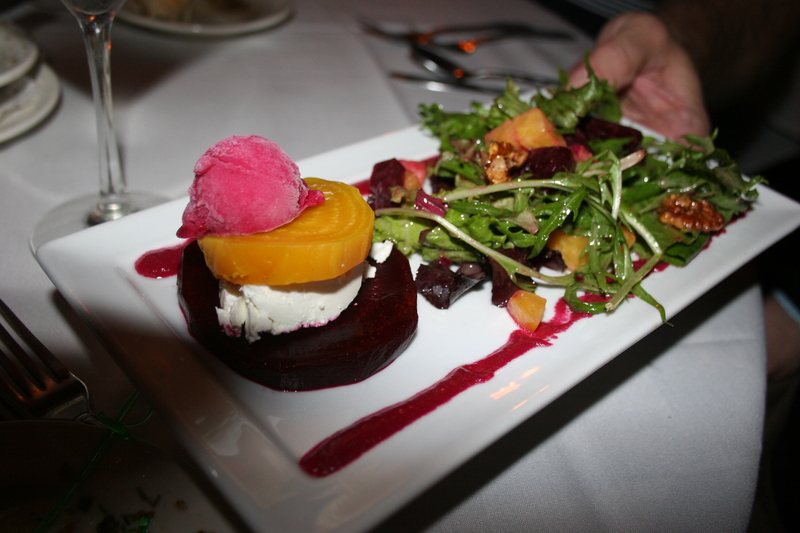 Jerry went with the Roasted Beet Salad, goat cheese, Granny Smith apples, spiced walnuts, baby arugula and a beet sorbet. 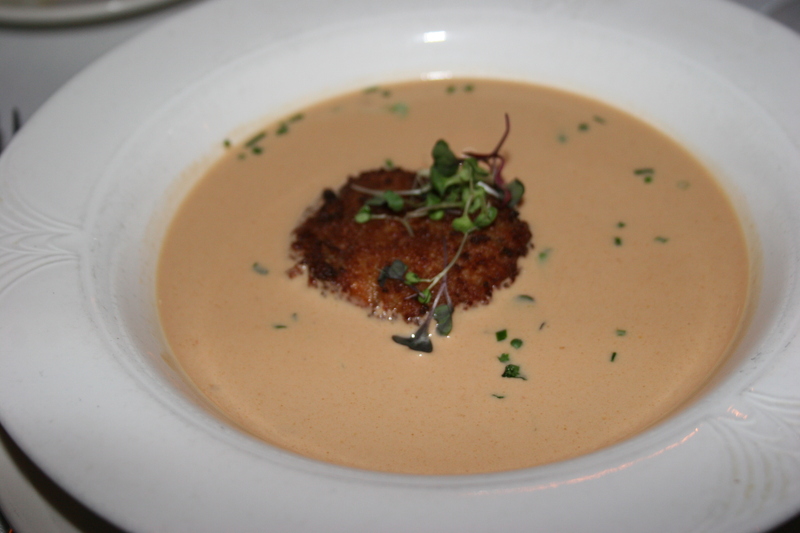 I selected the Crab Bisque with a floating crab cake. My soup was nothing special and may have been saved by the idea of the crab cake in the middle which added some taste to the soup. 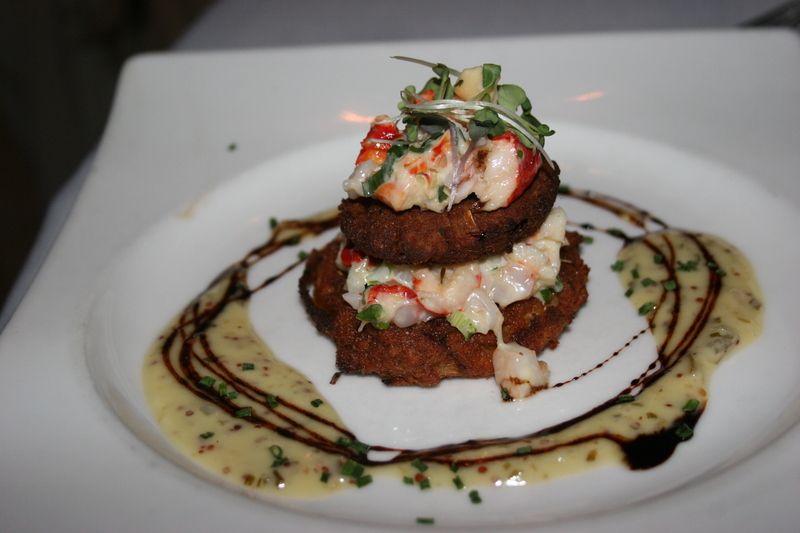 For our second course, those who didn’t choose a green salad selected the Shrimp and Lobster Salad, fried green tomatoes and Remoulade aioli or the Veal Bolognese tossed with rigatoni pasta. 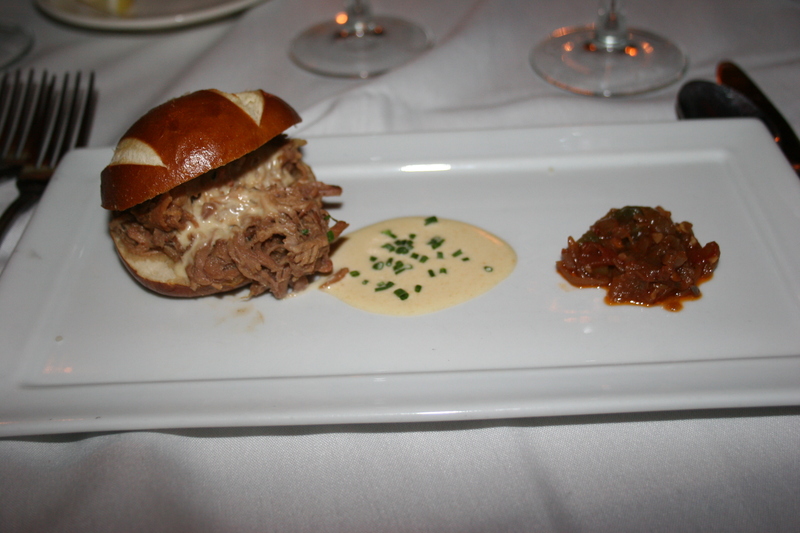 I almost went with the veal dish but decided to join Carol and give a try to the Pulled Pork Slider. The only thing that could have made this tasty little sandwich better was if there were two more sitting right next to it. This was served on a soft-pretzel roll with a spicy provolone cheese sauce and a salsa made from long hots. Excellent rendition of something simple made with flair. Five of the six of us chose totally different entrees for our third course. 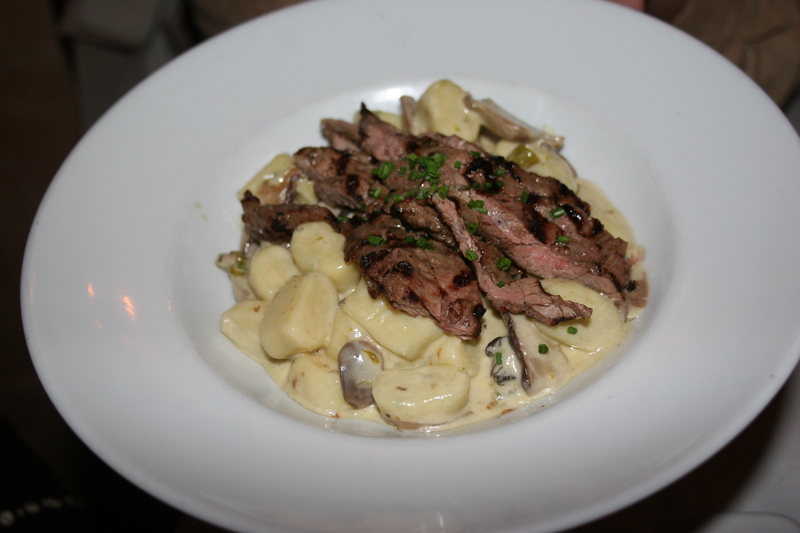 On the left is the Veal Skirt Steak, grilled and sliced and served with asparagus, mushrooms, hand-made gnocchi in a white truffle cream. 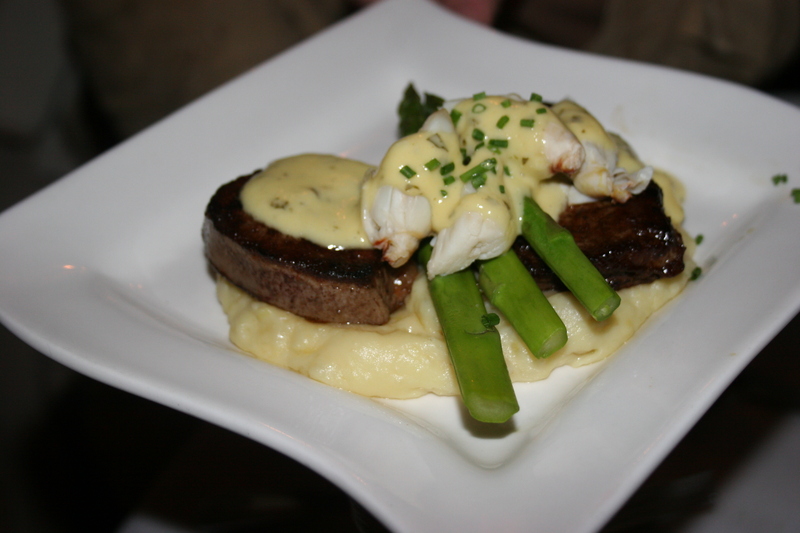 On the right is the Filet and Crab Oscar served with Yukon Gold mashed potatoes, asparagus and topped with a garlic and parsley béarnaise. I didn’t hear any complaints on these two. 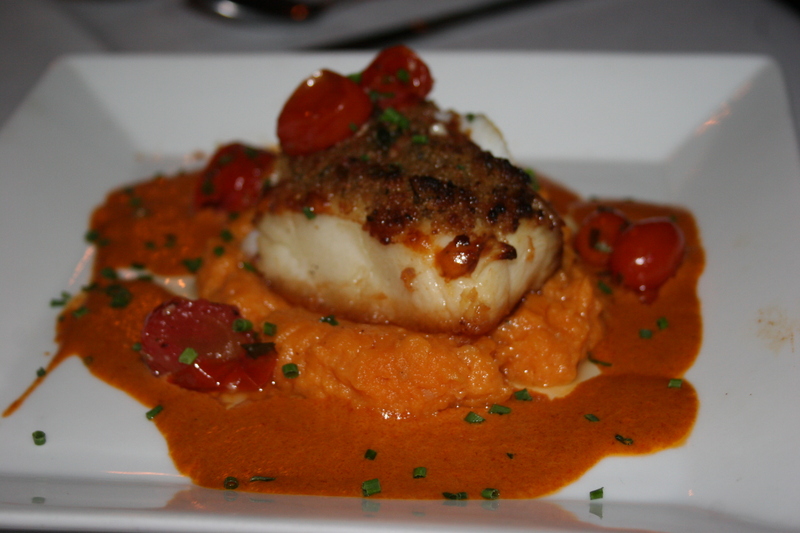 The nice looking dish on the left was the Chilean Sea Bass served over maple horseradish mashed yams, roasted pepper lobster sauce and oven-roasted tomatoes. 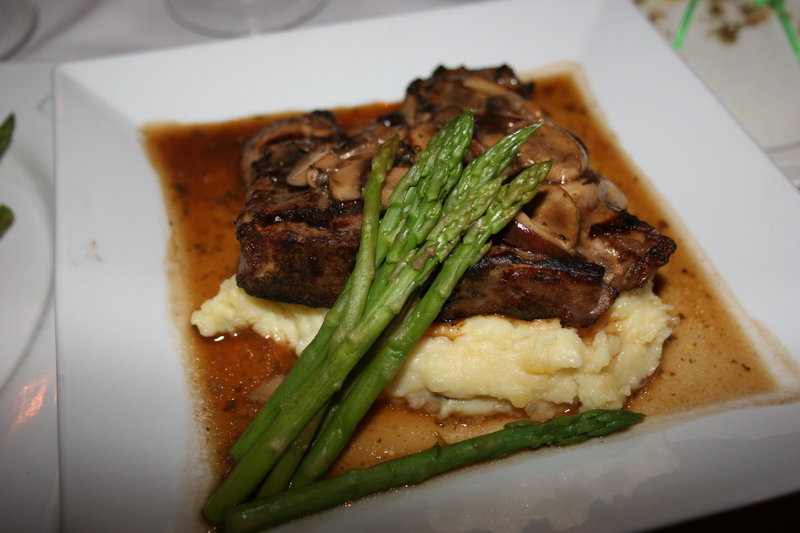 The other taste-tempting item is the Lamb Loin Chop served over Yukon mashed potatoes and asparagus. 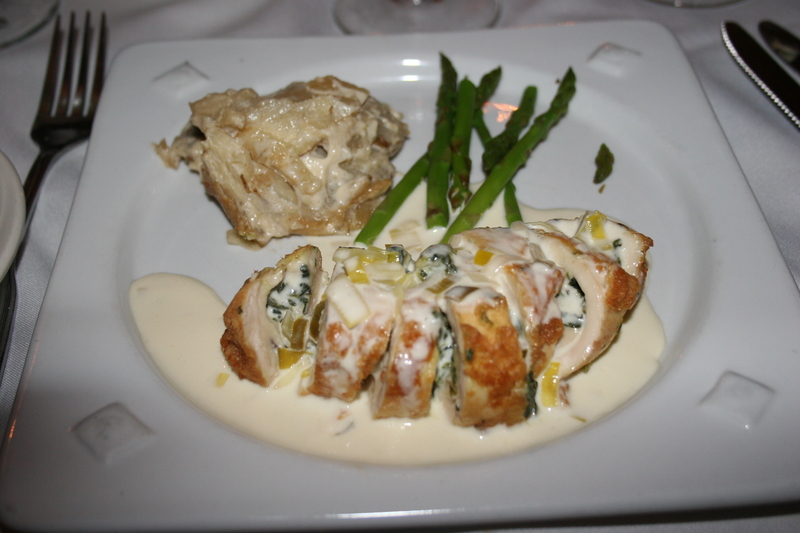 Joe and I were the only duplicates as we both ordered the Stuffed Breast of Chicken Francese, with a spinach and Boursin cheese filling, scalloped potatoes, asparagus and lemon-leek cream. It all combined nicely to make a very nice entree. Ahhh, if only they poured more wine in the glass the dinner would have been top-notch. 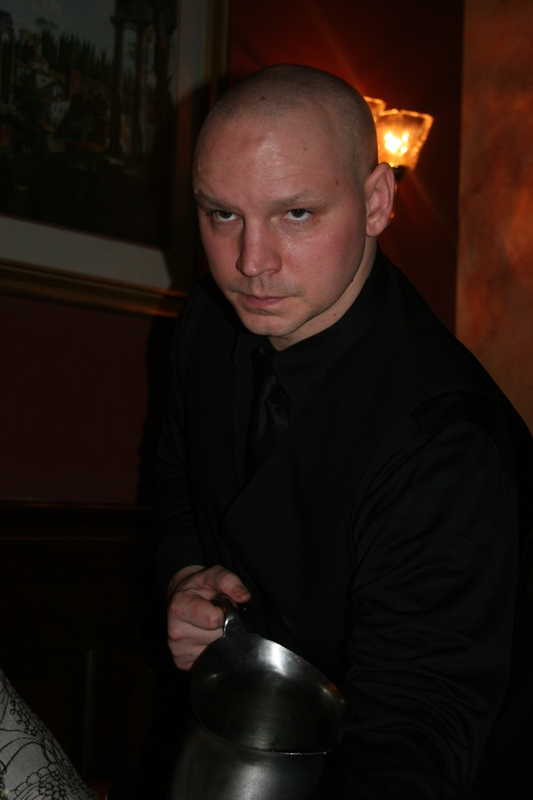 Our server, Tom, was attentive as servce at Catelli is team-based. There are people replacing silverware for each course and others making sure that water glasses stay filled. We had no complaints about the service on this busy Saturday night. Although we had plenty to eat we all had just enough room in our tummies for some dessert, our fourth and final course. 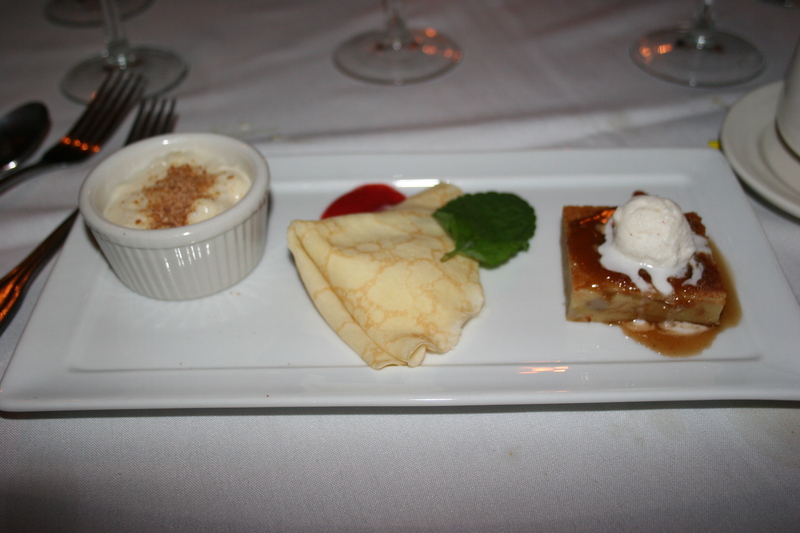 We all shared the rice pudding, lemon crepe with berries and the apple cake with vanilla bean ice cream. Overall, it was a good experience. 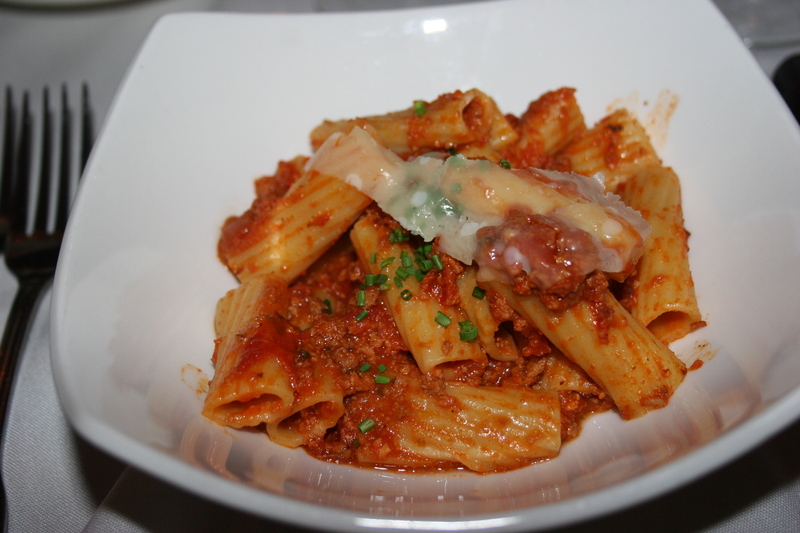 I think we all expect Catelli to be good every time we go and for the most part, those expectations were met. Just do me one favor, pour another ounce in each wine glass. It’s just not classy to scrimp on wine.